I see from the blatts that Dickie Fletcher, who set up the Galley cruising restaurant in New Ross, bought a boat called The Officer after the Ross and before the St Ciarán and St Brendan. I had not heard of The Officer before; I would welcome information (leave a Comment below) about its past and (if any) present. While running trip-boats has not always been the way to wealth on Irish waterways, we must always be alert to new business opportunities arising from changing circumstances. 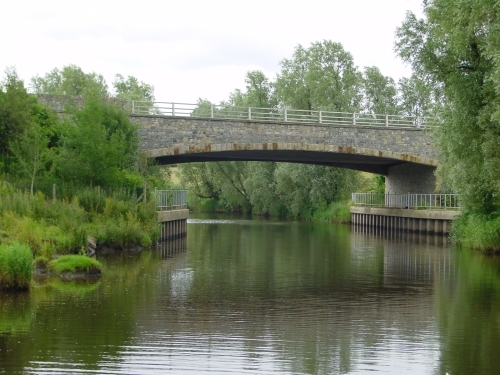 Brexit, the impending departure of HM Realm from the European Union may offer one such opportunity for a tourism-related business on the Shannon–Erne Waterway, perhaps around Aghalane. Here, scenic boat trips could be provided. 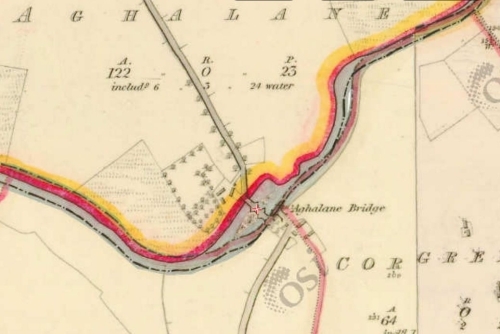 Of course not everybody likes long boat trips, so there could be a market for short trips, perhaps from one side of the Woodford River (which here constitutes the Shannon–Erne Waterway) to the other. Such trips could feature in package tours, including flights into Ireland, accommodation and leisure activities. But the Irish tourism board (whatever it’s called nowadays) needs to open up new markets: these tours might be attractive to our fellow-EU citizens from Eastern Europe. There is another possibility for development here, combining economic growth with humanitarianism. Ireland could offer to open refugee camps in the area, thus sharing the burden with Calais, Greece, Italy and other places currently accommodating these unfortunates. This would not be entirely selfless: there would be a stimulus to the local economy from the construction and operation of the camps. Should demand for camps along waterways exceed supply, the re-opening of the Clones Sheugh could be considered. I regret that the north side of the river is blank on the modern OSI map; that area is part of the United Kingdom of Great Britain and Northern Ireland.